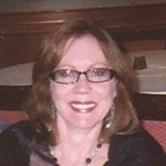 Sue Richter, currently residing in California is a published author, writer, blogger with a fascinating background. In addition to visiting all 50 states, she has traveled internationally and been exposed to all levels of communication. Sue also owns a publishing company. It seems to me that she is a great juggler. Maralyn: Sue, please tell us a little of your background. Sue: I was born in Minneapolis, grew up in Southern California and then spent 20 years in Texas. I moved back to California after a round about move to the East Coast, where I did international work for Habitat for Humanity. Habitat was a great career move for me. I was the Communication Director for all the Northeast U.S. and had the opportunity to travel to South Korea and work directly with Jimmy Carter and former President of the Philippines, Corazon Aquino. I had been in communications for ten years when I took the job with Habitat. I did a lot of writing, newsletters and pitches to media, so I was no stranger to writing. In fact, when I was in junior high school I took a creative writing course and made “As.” That’s when I decided I wanted to pursue writing. Maralyn: What is your most recent book? Please tell us a bit about it. Sue: It’s funny, I started a publishing company 14 years ago and only published other people’s books. I finally decided I needed to publish my own book and experience what my clients had been feeling. The one book topic that kept coming to mind was relationships. I have been married and divorced and now I’m remarried to a wonderful man. We’ve been together for 13 years. My friends have been in and out of relationships and I’ve heard all the horror stories about communication breakdown. Since I’ve been in communications for 20 years, I thought a relationship book would be fun. I wanted to keep the book light and yet interesting so I came up with a fun title; A Guide to Becoming the 60-Second Lover. The book is about communication, what you are saying and not saying in your relationship. I point out helpful tips that can be done in 60 seconds that promote a ‘dating’ feel to your love life. Keeping your romance alive is important. It doesn’t take much effort to keep a relationship fresh. Maralyn: What can you share with others as to important tips or suggestions for other writers on writing and publishing? Sue: My one tip for new writers is to schedule time for your self to write. Put yourself first. It can be as little as one hour three times a week. Lock yourself in a room and write whatever comes to your mind. I don’t like to edit until I’m done with my first draft. It bogs me down and I never get past the first few pages, because I keep trying to make them better and better. It’s too easy to lose focus, if I keep going back to edit. I tell myself, just move on! Maralyn: How did you get started writing? Sue: I started writing full time about 2 years ago. I was working at a mortgage company and knew I didn’t want to continue doing that forever. Then the universe nudged me and everyone in my group got laid off. So, I was forced to go after my dream and I did. I wrote A Guide to Becoming the 60 Second Lover and I started a travel column for Examiner.com. Soon I had another travel column with JustSayGo.com and I was contributing work to AA.com/women for American Airlines. Many more opportunities came my way including celebrity interviews. My portfolio just keeps growing. Maralyn: If you self published, who and why did you decide on who you should use? Sue: My publishing company is SERA Publishing. I wanted to have creative control over my book, so I published it under my company name. Self-publishing really doesn’t have the stigma it used to have. The series, Chicken Soup, was one of the first one’s to have great success with self-publishing. Actually, several large publishing houses requested publishing contracts with the authors, but they turned down the offers. Today, the brand is still strong. Also, with ebooks on the rise, self-publishing your book is very affordable. Maralyn: Have you also added an e-book or CD? Sue: I did create an ebook too and it’s on my website; www.serapublishing.com There’s a preview of the book on the site too, it’s free. Maralyn: Have you found that to be a successful approach to getting your books sold? Sue: Ebooks are wonderful. You can be in the middle of the Caribbean enjoying the sun, while selling your book. I would suggest partnering up with a good web hosting company that can offer your customers everything that they need from easy browsing, to ecommerce and data collection. Maralyn: What is the most difficult part of writing for you? Sue: The hardest part about writing is turning my brain off long enough to find my writing voice. Once I do that, the words flow out pretty fast. Sue: I do almost all my research online. However, I do get a lot of information as I’m traveling and even some from TV. I love watching shows like Discover, History Channel, and Animal Planet… anything educational. Maralyn: Have you learned anything from writing this book? Please describe it. Sue: Yes, what I have learned is that writing the book is the easy part. Marketing the book is much harder. It’s hard to toot your own horn sometimes. I’ve done radio and talked to newspapers, written my own press releases and marketed my book to bookstores and gift stores. It’s really a full time job marketing your book. The main lesson is not to get discouraged with your marketing efforts and just keep pushing your book. Maralyn: What are your favorite type of books and authors? What intrigues you about them? Sue: I don’t read much fiction, as I really like information. I generally gravitate for business books or books that have to do with learning. One of my favorite books to date is Who Moved My Cheese by Spencer Johnson. The last book I read was The Marathon Method by Tom Holland. I was training for a half marathon. Maralyn: Are you working on another book and would you be willing to share a little about it? Sue: I am working on another book. It’s a book about my travel within the US. I’ve been to all 50 states and it’s amazing the differences between the regions of the US. It’s not just the topography but the views and beliefs of the people are actually different. Yes, we do all have our similarities too and I’ll touch on all those topics. I’m compiling the information and the photos and hope to be done by the end of the year. I may have another publishing company take this one, so I can focus on more writing. I have a couple more books in me plus screenplays. Maralyn: What are you doing to promote and market your book? Sue: Promotion is so individualized. I’ve done some basic things like setting up my website and getting a Facebook fan page. I’ve done radio, press releases, I’ve register with Amazon and I’m working with gift stores. There’s a lot more that I could be doing, but I find that I don’t have enough time to do everything. I’m still doing a lot of travel writing, working with clients on the publishing end, plus I’m currently writing a screenplay. So, you can see there are not enough hours in the day to get everything done. Maralyn: If you are marketing on line, do you find one site more or less helpful than others? Sue: Quite honestly, I don’t like Amazon. They take a huge amount of your sales, about 60%. They don’t really promote your book either. I would say it’s better to have your own website and forget Amazon. Maralyn: What has been your biggest Ahha moment/s as a writer? Sue: Writing the book wasn’t as hard as I thought it would be. It’s like running. The first mile is hard, but then it gets easier. The more you run/train, the easier it’s gets….but no mater if you’re a marathon runner or not, that first mile is always the hardest. It’s just like writing the first page is always the hardest. Maralyn: Where can readers learn more about your book? Thank you Sue, for a most insightful interview. You are doing it all and seem to be enjoying the ride. If you would like to be interviewed, please contact mdhill@noralyn.com. Please indicate if you want the Author/writer questions or the Writer/blogger questions.